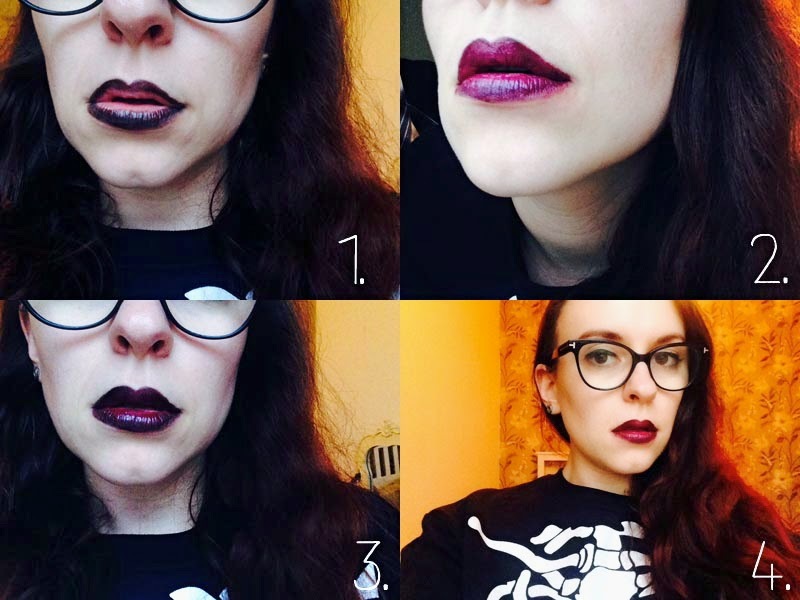 Just thought I’d drop this quick tutorial here for a halloween themed ombre lip. I have to say I was thinking about if I would do this or not. My lips are an odd shape so please excuse the wonky lines and be kind to me as I haven’t done anything like this before. I remember having this done at LFW one season and really loved the look but I’d never tried it for myself until now. I’ve used three main products here which were Jelly Pong Pong’s black eyeliner, MAC’s Darkside and Topshop’s Lip Cream in Lotus Flower. Step one – line your lips with a black eyeliner. Yes, this looks strange as hell but it won’t be staying like this for long. 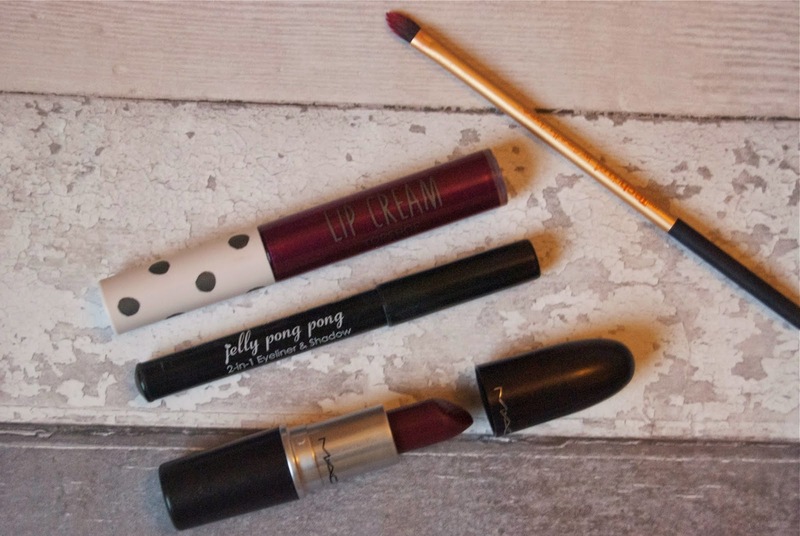 Step two – Add your colour of choice to the middle of your lips. You don’t have to keep it neat but try not to go too far over the black eyeliner, you’ll be blending in a minute. Step three – Grab yourself a lip brush and get blending. You want to create a seamless blend between the black and your lipstick colour. Blend until you feel you’ve achieved your look. Step four – There you have it a 5 minute quick ombre tutorial. At the end I added a white shadow to the centre of my lips to create a little more of the highlight on the bright part of the lip. "In The Spotlight: Bloggers I Love"
"Review: South Beach Lounge Wear Review"